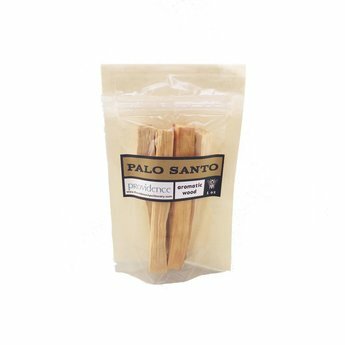 Palo Santo is the aromatic heartwood from the aged Bursera graveolens tree. 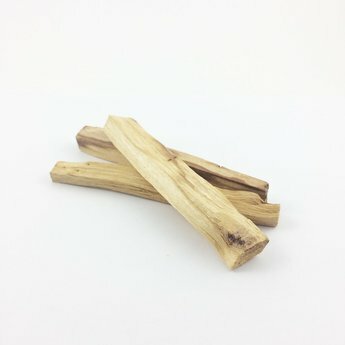 Palo Santo is commonly burned as incense. It has a deeply aromatic aroma that has been used for centuries. It is native to the region stretching from Mexico to northern South America, including the Yucatan Peninsula, where it was highly valued and heavily used during ceremonies. Traditionally, it was used to attract good energy and repel bad energy. Its scent has a reported ability to relax yet raise consciousness which makes it a valuable tool in meditation and prayer. The Palo Santo tree belongs to the same family as those whom frankincense, myrhh, and copal are collected (Burseraceae). Palo Santo means “holy wood”. Storage Considerations Store palo santo in a closed container out of direct sunlight. None known, however one must exercise caution when burning palo santo as there might be a fire hazard.